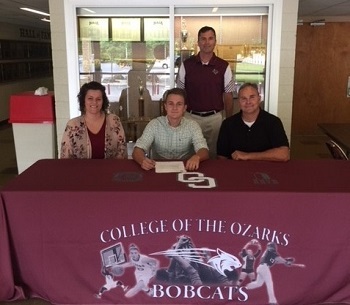 College of the Ozarks men’s basketball recently added Klay Barton to the Bobcats’ roster for the 2018-2019 season. Barton hails from Doniphan High School in Doniphan, Mo. and brings many talents to the Bobcats’ lineup. During his career at Doniphan High School, Barton tallied 1,843 points and set three school records, including most points in a single game (51), most field goals in a single game (19), and most 3-point baskets in a season (94). Proving his versatility, the 6’2” guard has posted averages of 22.5 points, 3.5 assists, 3.0 rebounds, and 1.2 steals per game.